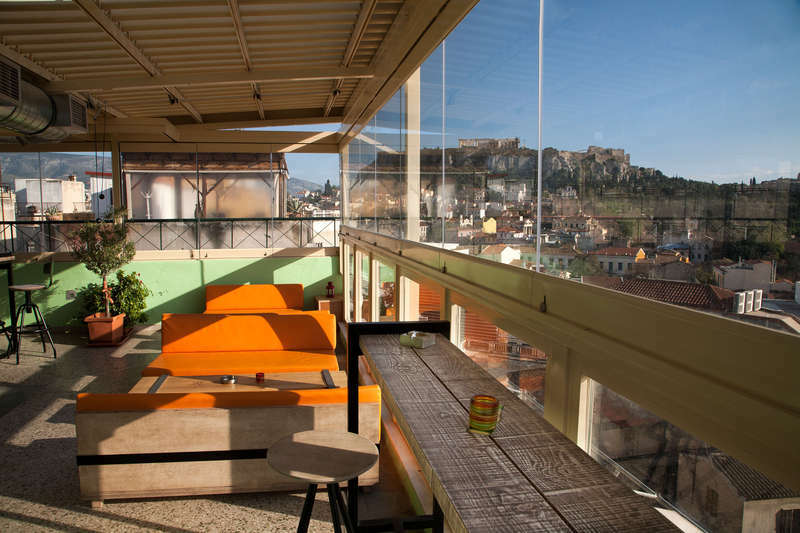 We’re proud to be the only hostel in Greece selected by the Europe’s Famous Hostels Association. It’s no wonder why – we’ve got top ratings, a premium location and the best price! 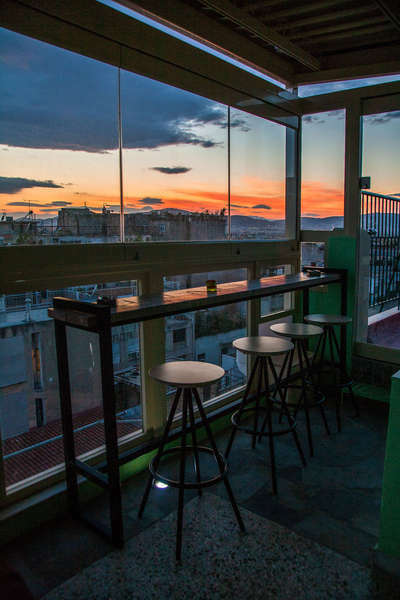 Our rooms are located in two adjacent buildings, full access to all facilities of both parts of the Hostel is guaranteed - breakfast, Wi-Fi, computers, Rooftop Bar & Cafe, 24-hour reception, common kitchen, lobby, basement lounge, etc. Family rooms are one-room studios with a king-size double bed and a single bed (triple) or a king-size double bed and a king-size sofa bed or two singles (quad). Private quads have one king-size double bed and two bunked beds, or two bunk beds. Bed linens and blankets are included in the price. Towels can be rented in dormitories for 2€. No soap is provided. Our breakfast includes fresh milk and cereal, freshly brewed coffee, freshly baked bread with butter and jam and fresh oranges to start your day with a smile. Oh yes, and it's all free! Don't miss our rooftop bar and cafe! It’s newly renovated and surrounded with glass. 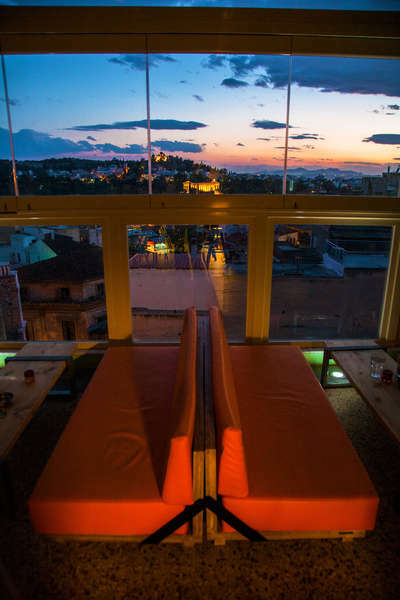 Fear no cold and enjoy best views of Acropolis, Lycavettus and Filopappou Hills. It’s open daily from 5pm to one after midnight, Saturdays and Sundays all day, with Happy Hour and special deals. Guests travelling with children under the age of 10 are requested to book private accommodations.